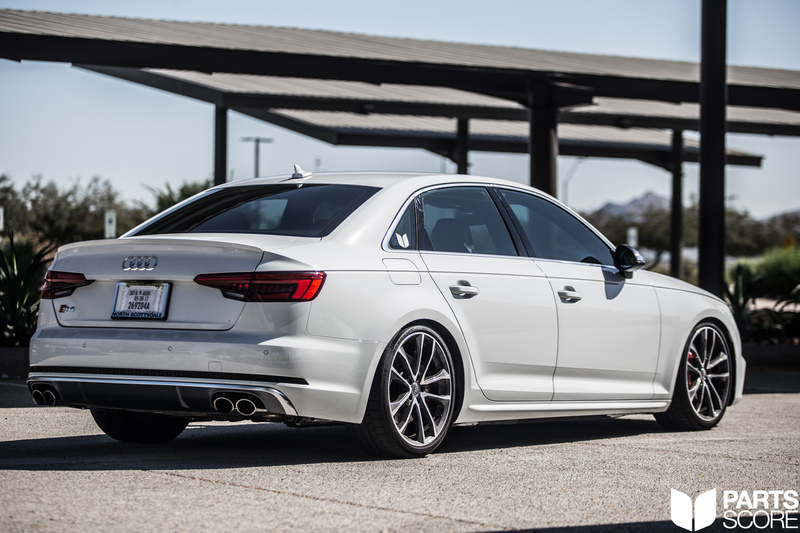 We begin the story of the Project Parts Score Audi B9 S4 with a set of H&R Coilovers. 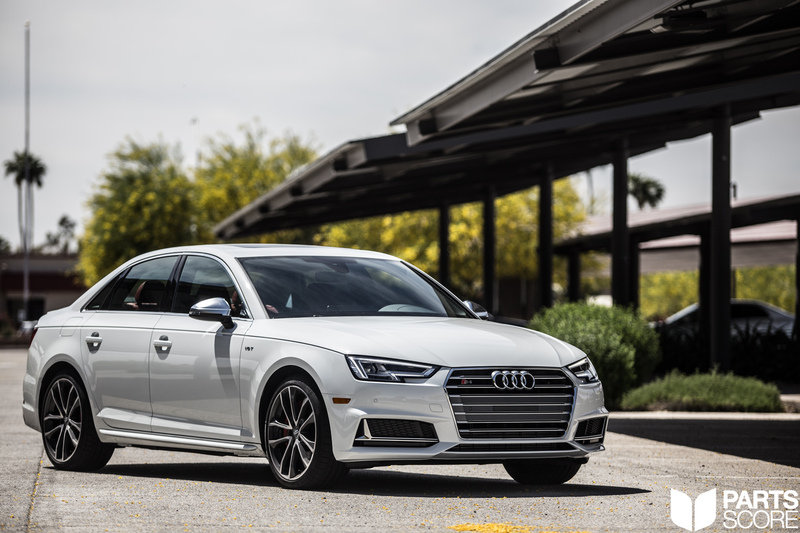 We are very proud to have been working directly with H&R Suspension to get these coilovers out and installed on the first wave of Audi’s new flagship sedan and coupes. 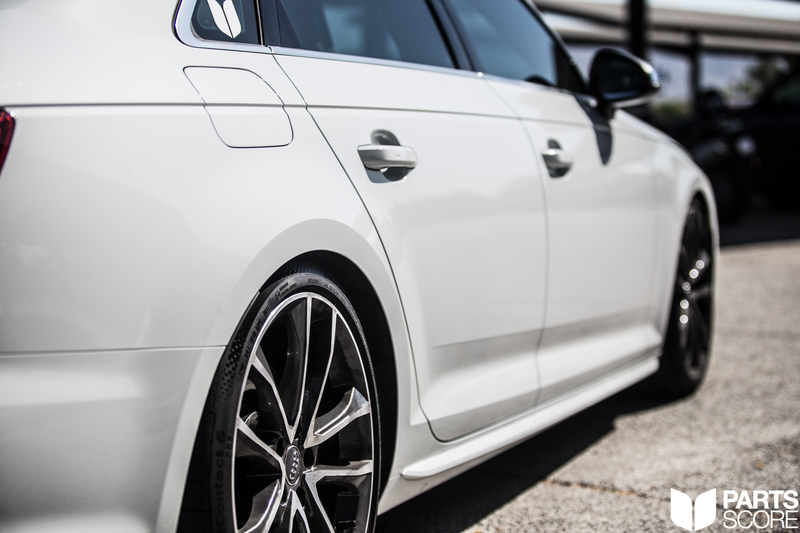 In this article you will find the documentation covering our installation of a set of H&R Coilovers for a Glacier White Metallic over Magma Red fully optioned B9 S4. 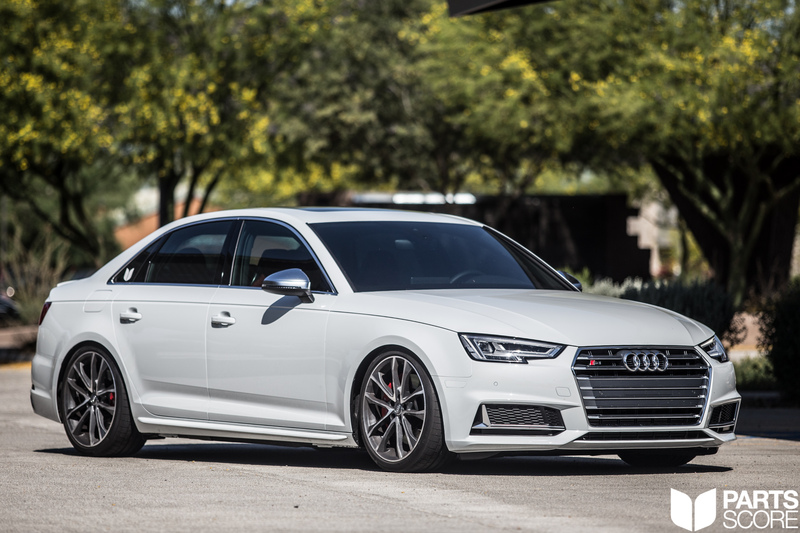 Both H&R Coilovers and H&R Springs are available for the B9 S4 and B9 S5. Contact us now at contact@partsscore.com or 602 814 6543 to place your order and schedule your installation. If you are not local to Arizona, we can ship nationwide. For decades H&R has been the ultimate leader in both street performance and motorsport suspension. Their coil springs are used in various racing series such as Formula 1, German DTM, British Touring Car Series, as well as countless others. The old saying of “Race on Sunday, Sell on Monday” can be directly seen with H&R products. The technologies that H&R has developed on the racetrack has directly influenced their road application series of springs and coilovers. 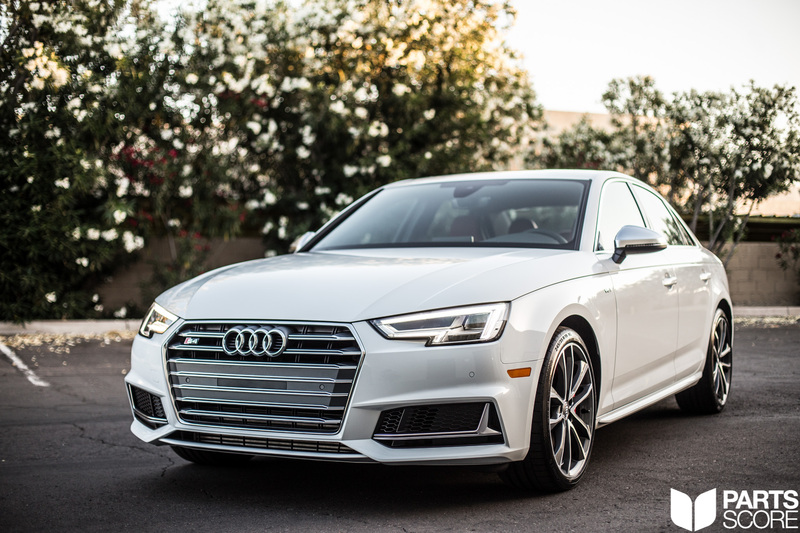 This brings us to the B9 Audi S4 and S5, the newest Audi Sedan and Coupe models. 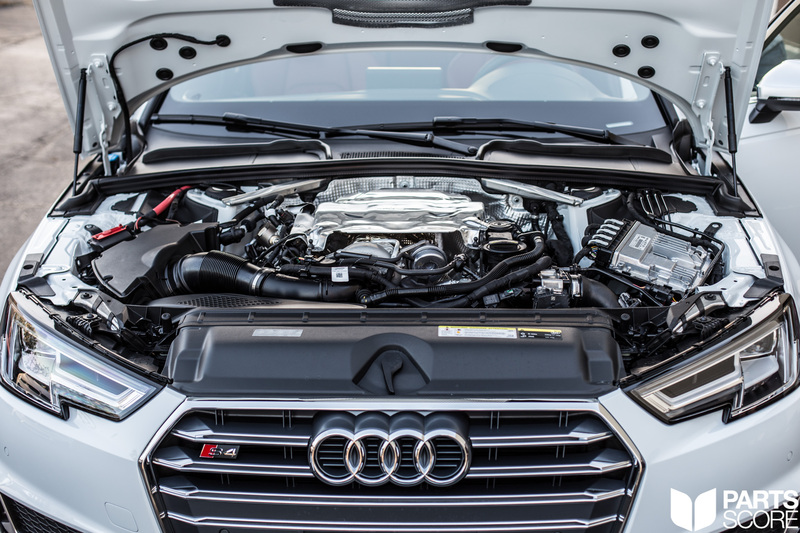 These Audi’s sit on a fully redesigned platform with a brand new, single turbo 3.0L V6 engine. 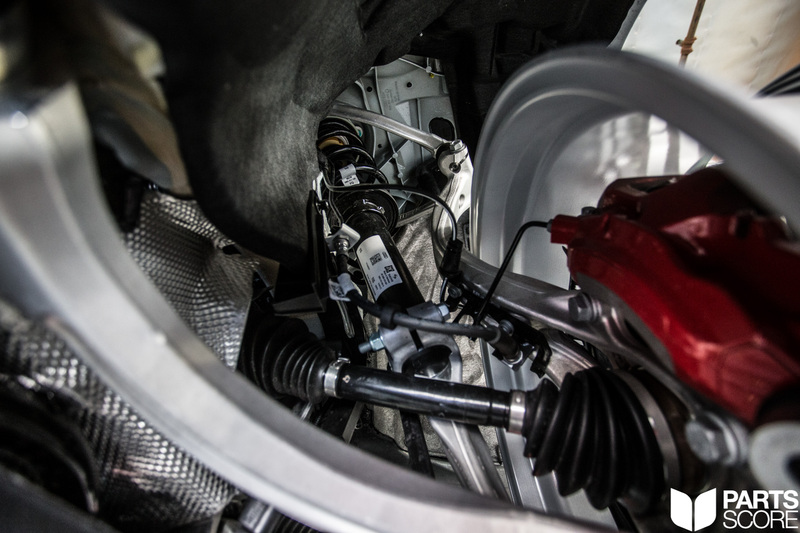 Being a new platform, H&R wasted no time to develop both adjustable coilovers and springs that will retain all of the factory comfort and feel while giving a lower, more dynamic driving experience, as well as improved handling. 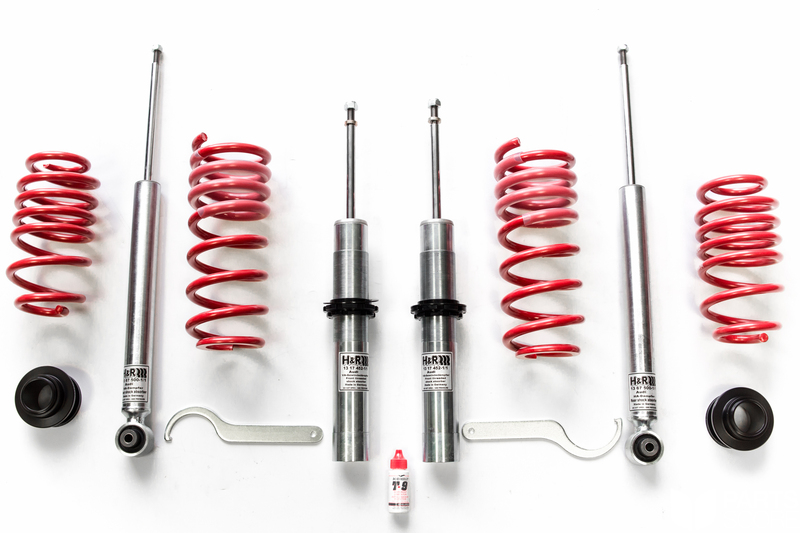 Below is the full breakdown of the new H&R Coilovers as well as their installation. 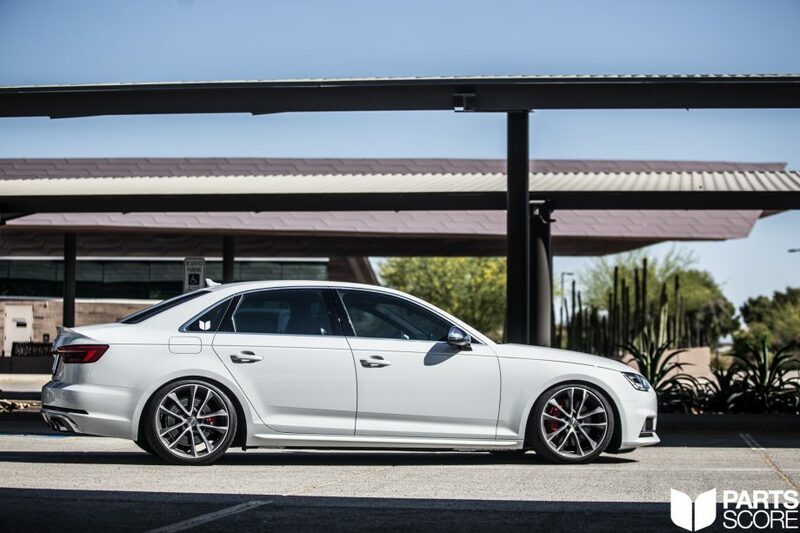 Shown here is the B9 S4 in its stock configuration with stock ride height. 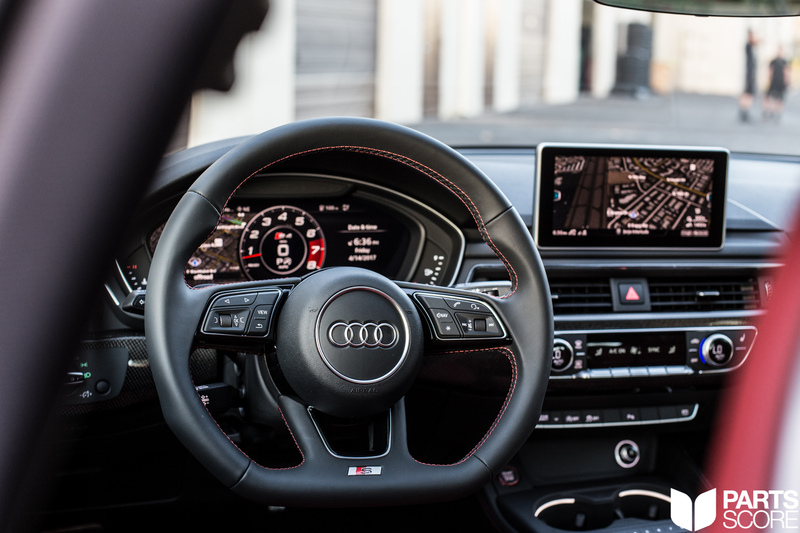 Another beauty shot of S4 just after delivery from the dealer. 30 miles on this B9 S4! Brand new cars are the best to mod. Shown here are the coilovers prior to installation in the B9 S4. Closeup of the stock suspension before it comes out! 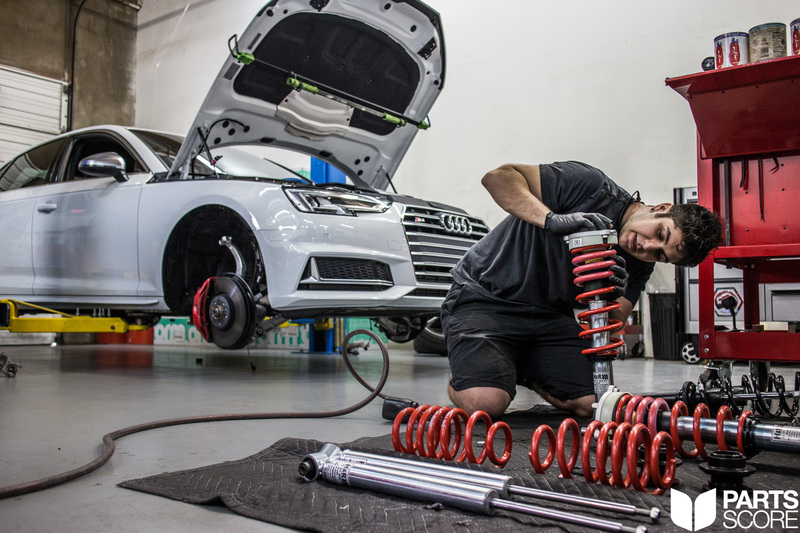 Ray, our expert technician, installing the H&R Coilovers on the B9 S4. Installation completed and the B9 S4 is sitting on the ground! 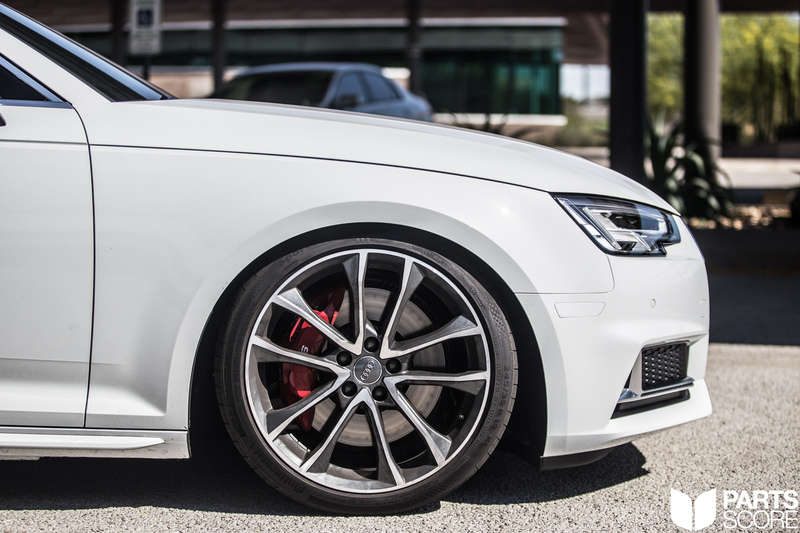 The H&R Coilovers give the S4 the stance it deserves! Side shot of the beautiful B9 S4! 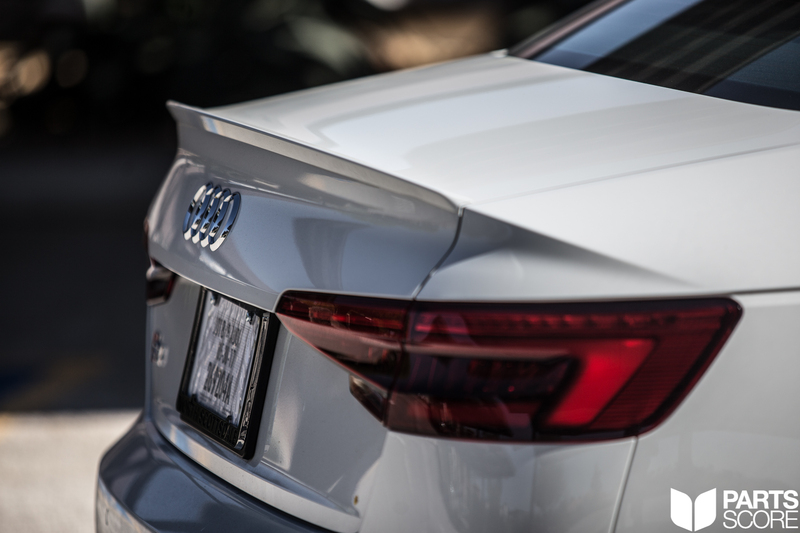 The spoiler being integrated into the quarter panel is such an incredible design element. Closeup of the front stance with the stock wheels. Closeup of the rear fitment with stock wheels and H&R Coilovers. The Magma Red with Standard Massage Seats are one of the most comfortable places to be in any modern car. The quilted stitch Magma Red leather is beautiful! 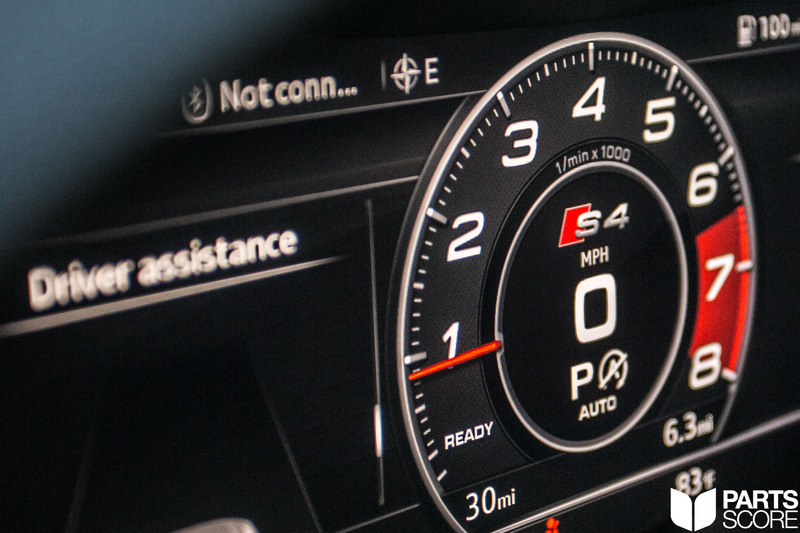 The Audi Virtual Cockpit is an incredible place to be! 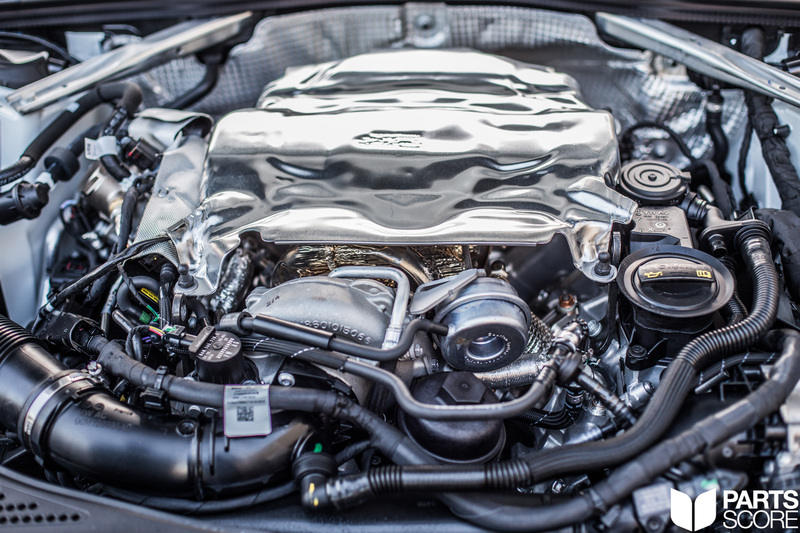 The new Single Turbo 3.0L V6 pulls like a freight train! Closeup of the new, giant, Twin Scroll Turbo! 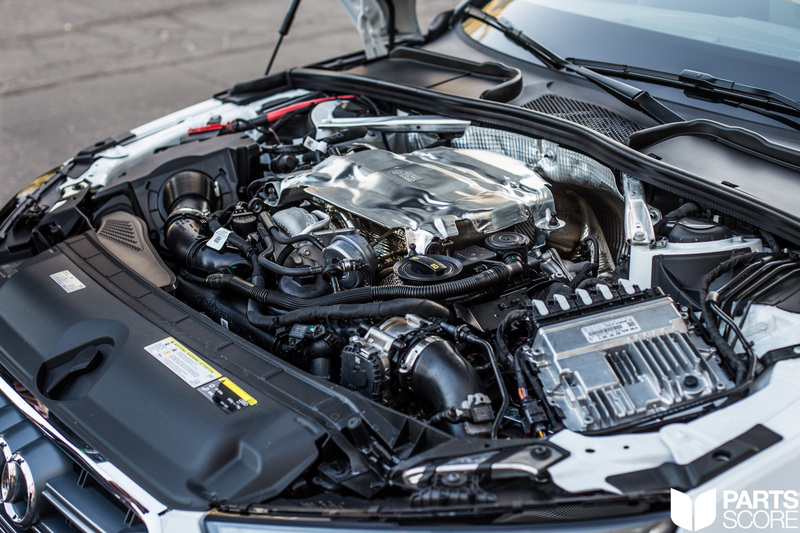 Easy access to everything with the new Top Mount Single Turbo! Stay tuned for what’s next! Rotiform Wheels & H&R Spacers!